Keeping your boiler heating system performing consistently throughout the winter means staying up to date with boiler maintenance and inspection. 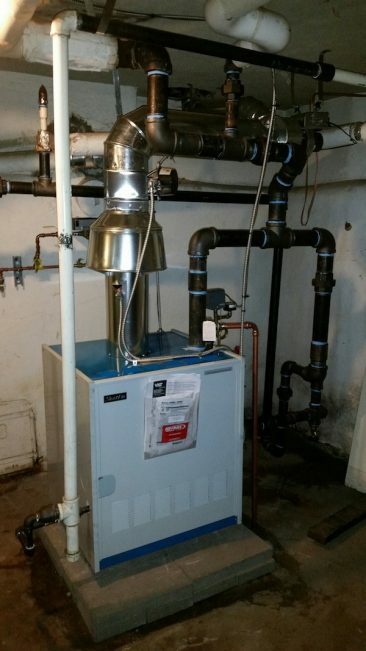 Whether your home utilizes a steam boiler, hot water boiler or other high efficiency boiler, Hoffmann Brothers heating and cooling experts will make sure your system operates as it is designed to do: all winter long with maximum efficiency. When a boiler operates below standard, that means less heat and more money output from you and your family. Prolong the life of your boiler by scheduling your boiler maintenance appointment today. What Happens During a Boiler Maintenance Visit? Skipping these essentials will affect the lifespan of your boiler. It’s tempting to put off an annual boiler maintenance and inspection. Just keep in mind that these systems are designed with yearly maintenance in mind. Going through the course of a cold St Louis winter takes its toll on any mechanical system. Your best bet for a reliable home boiler is to call upon the experts to give your system the tune-up needed to run smoothly before the chill returns. We will perform maintenance on nearly any type of unit including the popular Navien boiler systems. When needed, we also provide boiler repair services and even boiler installation when it comes time to replace your unit. End the search for “boiler maintenance near me?” Get started today by calling the Hoffmann Brothers boiler company at 314-664-3011 or request service here. Get started right away by scheduling your next maintenance appointment today!